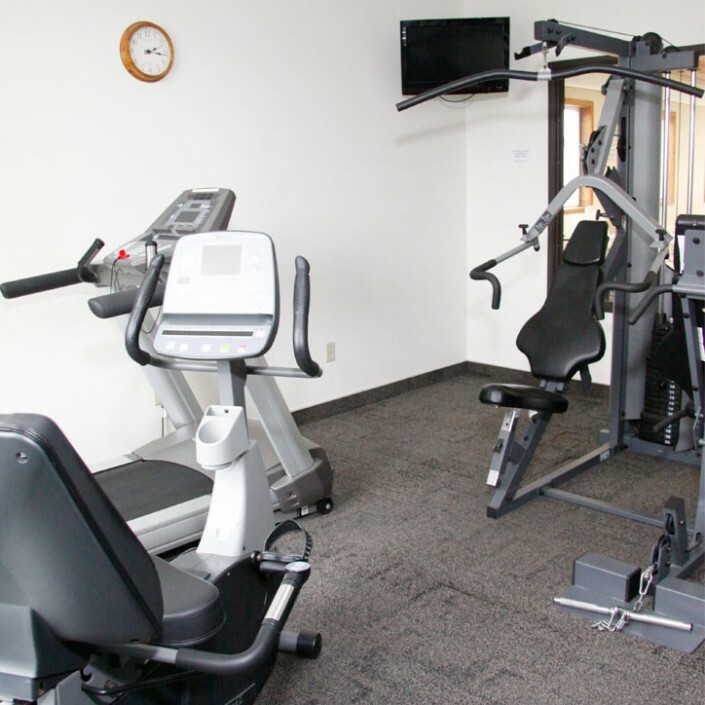 Exceptionally Clean Rooms | Meeting Room | Fitness Center | Jacuzzi Suites And More! 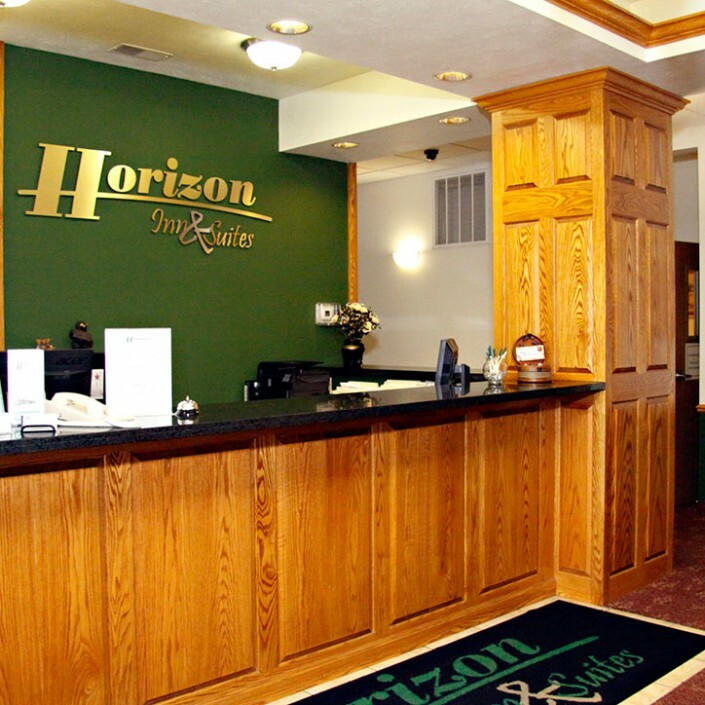 When you stay at Horizon Inn & Suites, you are staying with friends.Our place is yours, whether you’re here for business, vacation, or just passing through. 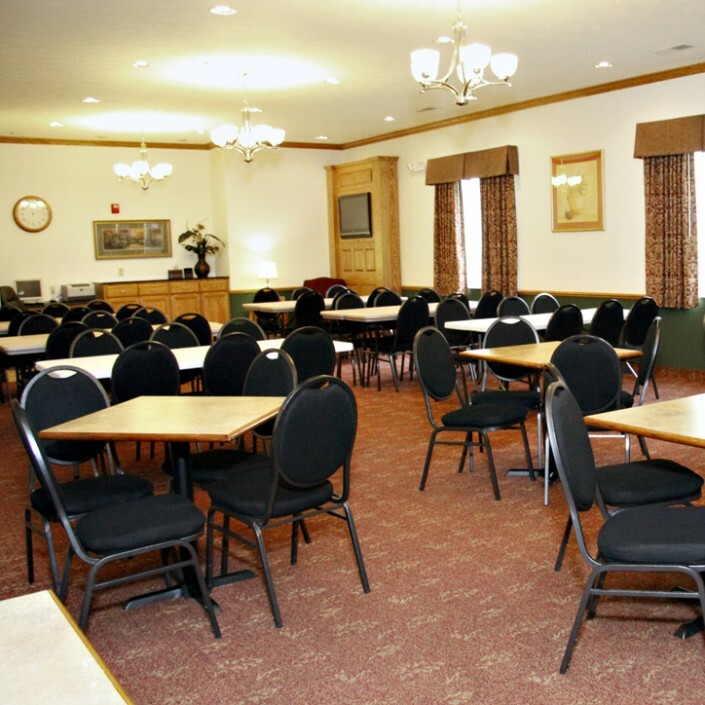 Group Room Blocks hold any number of rooms, you determine, on the day/dates of your event. The blocks are in place until 6 weeks prior to the event. If your guests have not made their reservations before the release date, the remaining rooms are then released. Any member of your group simply needs to call or email us with the name of your event (Smith/Meier Wedding June 2020). 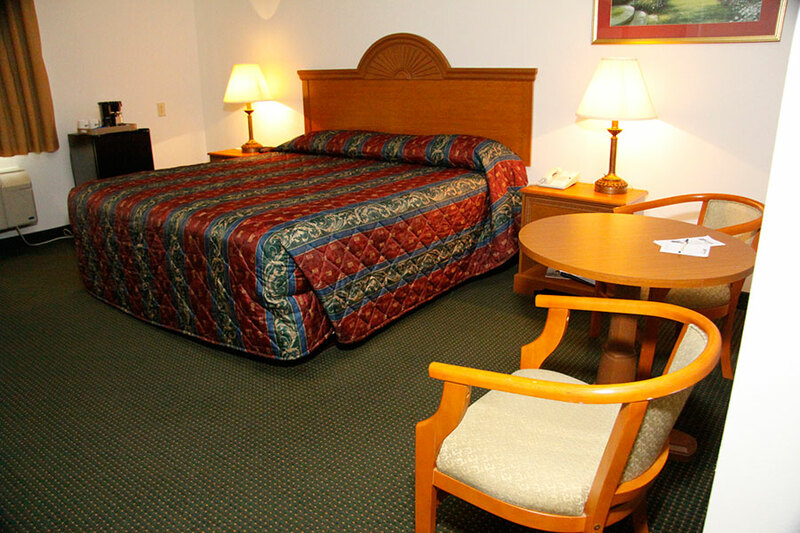 At the time the reservation is made, we will require a credit card to guarantee the room. 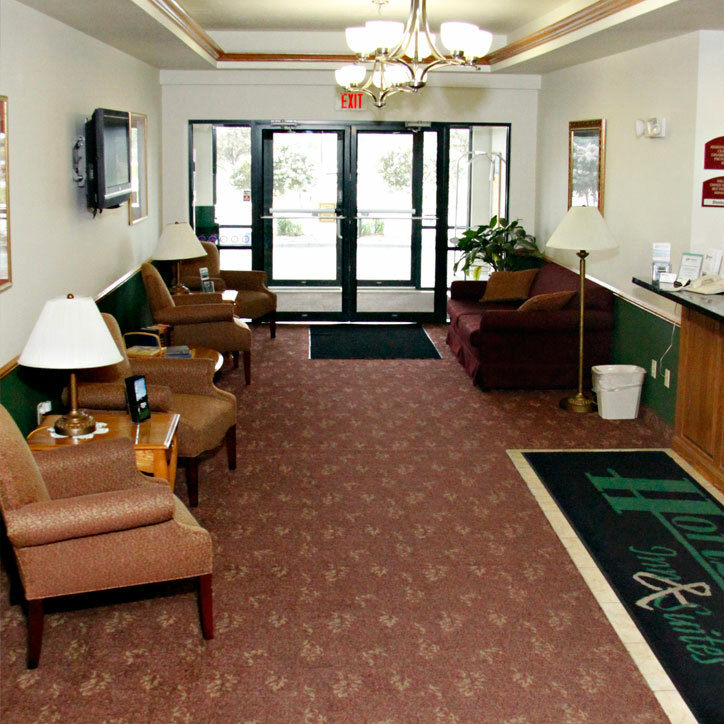 Be sure to reserve a block of rooms for your traveling guests and wedding party members. Also, be sure to book a Jacuzzi Suite for the happy couple. Our Meeting Room is a perfect place to open gifts or have a rehearsal dinner. Our meeting room is available from 1:00 pm until Midnight. The kitchen is available for an additional fee. Contact us for pricing and availability. 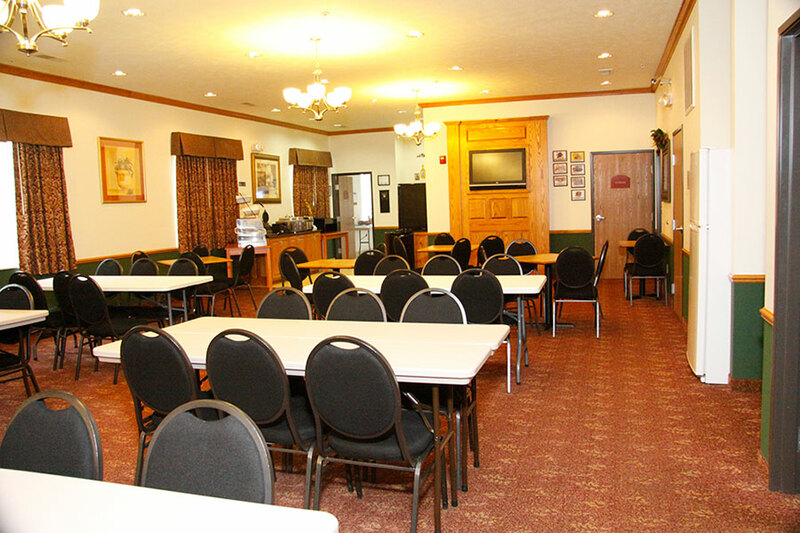 Our Meeting Room offers business classroom, banquet, casual dining, or theater style seating. We are happy to work with you to create the style that accommodates your event needs. On south end of the room is the Breakfast Area which provides kitchen facilities. We can provide you with a list of caterers and bartenders in the area. Water and Coffee are complimentary for every event. On the north side of the Meeting Room is our Business Center, available to our guests free of charge. This includes computer and printing services. We are happy to assist you with copies and faxes, for a small fee. High Speed Wireless Internet is available throughout the entire hotel. We are happy to help with your event, please contact us at 402-372-1959, email us or stop in! You choose which golf course and we take care of the rest! There are 3 Golf Courses located in Beemer, Pender & Oakland, Nebraska. All are a short country drive, 20 miles from the hotel. You will love the scenery. Life is better out here. To book your tee time and hotel stay, please call 402-372-1959 or email us! 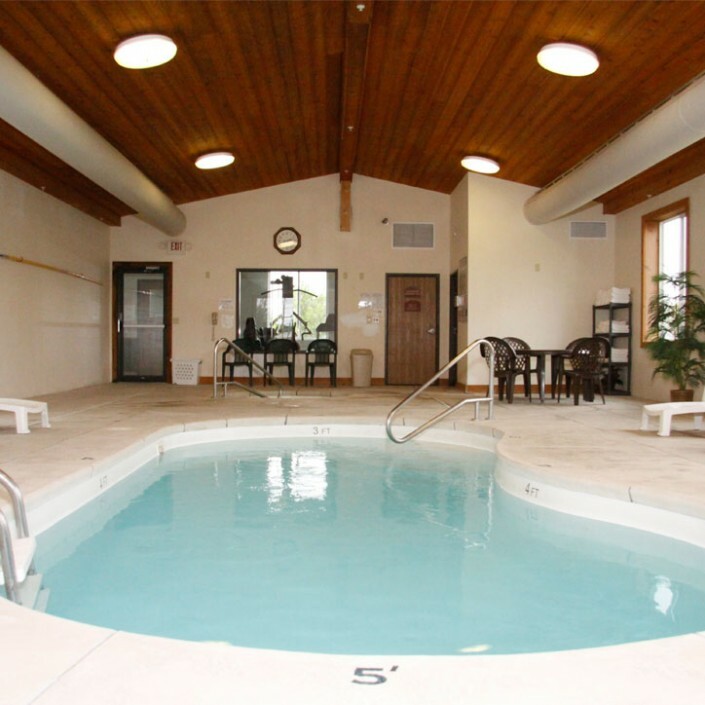 Horizon Inn & Suites is located on the northern edge of town on Highway 275. Smeal Fire Apparatus, Danko, Blue-Jet, Thurston Manufacturing, Blue Ox, Jones Manufacturing and Hunke Manufacturing. Nearby Communities Include: Beemer, Bancroft, Snyder, Pender, Wisner, Scribner, Oakland, Lyons & Dodge. We are located near shopping, food and fuel. Parking is always free and the coffee is always hot. Come see for yourself why everyone recommends us to their family and friends. Looking for area events or attractions? Click on our area partners for information. We are located near shopping, food and fuel. Parking is always free and the coffee is always hot. Come see for yourself why everyone recommends us to their family and friends. HAVE AN EVENT OR MEETING? Give us a call and we can tailor your Group Block to your event. 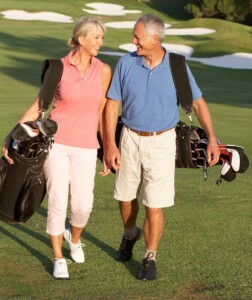 Try our "Stay & Play Packages"
Choose from one of three area golf course and we take care of the rest!